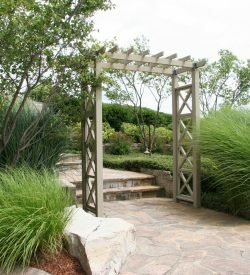 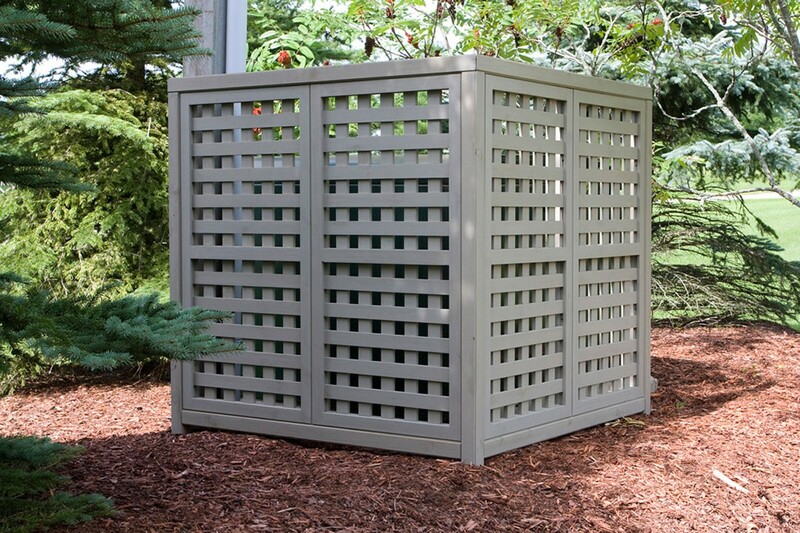 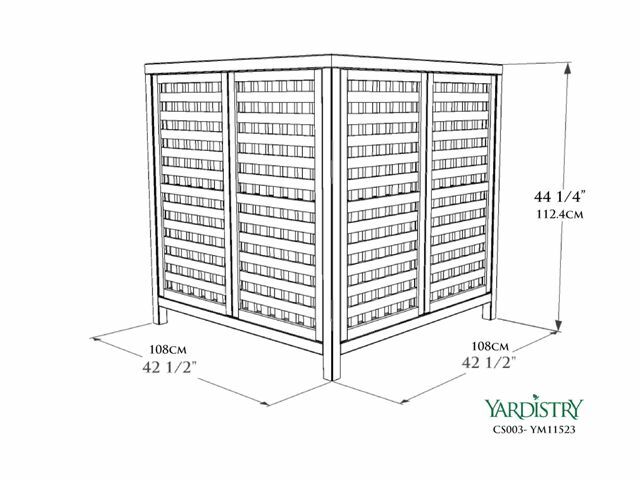 A stylish structure that can hide unsightly objects in your garden. 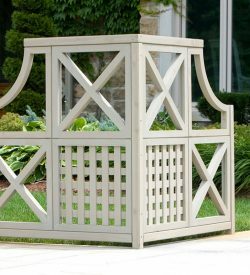 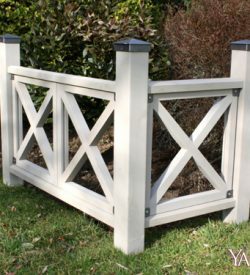 Constructed from a number of lattice wooden panels, posts and top and bottom rails, the wood is finished in a beautiful light grey water-based stain finish, which blends subtly into the garden surroundings. 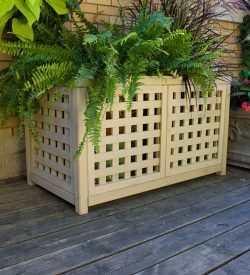 Bins, water butts or other objects can now be tucked away out of sight in their own storage area of your garden thanks to the equipment cover.